The research project iPot was launched in June 2014. Together with three partners, VITO created a system for the Belgian potato sector to monitor the growth of potatoes. Belgium is the largest exporter of frozen potato products in the world. Romain Cools of Belgapom: “Each year, Belgian companies process four million tonnes of potatoes into French fries, potato chips and other products. To continue to grow, we need more potatoes. But expansion of agricultural land is not an option. 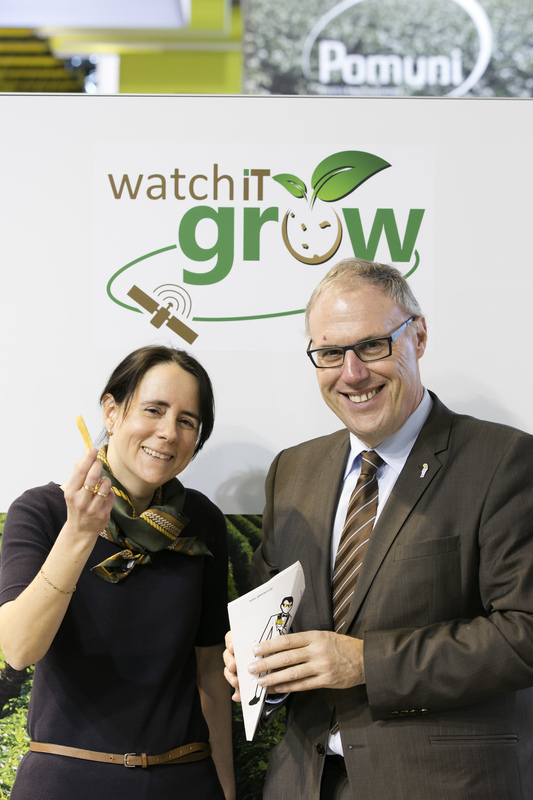 Using Watch iT Grow, we are better able to monitor potato production and increase yields. This allows us to ensure and further expand our role as a global player in the potato industry.” The iPot project ends in May 2017. What started as a research project, funded by the Federal Public Planning Service for Science Policy (BELSPO), has grown into an innovative webtool. From the spring of 2017, not only the academic world but also industry and farmers will be able to use the tool.